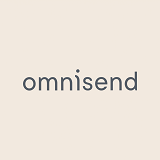 The Company Omnisend is a powerful marketing automation platform built for growing e-commerce businesses that have graduated past the basic email marketing tools. Our platform combines rich customer data with an omnichannel approach that empowers smart marketers to generate more sales by sending highly personalized messages on various channels. Omnisend is now used by more than 40,000 brands in 130 countries all over the world, sending millions of messages every single day. – Contributing to the development of the sales pipeline and strategy on how to approach targeted accounts. – 3 months commitment is preferred. Submit your CV and cover letter by clicking on the button above or sending an email to career@omnisend.com. We will contact only selected candidates.